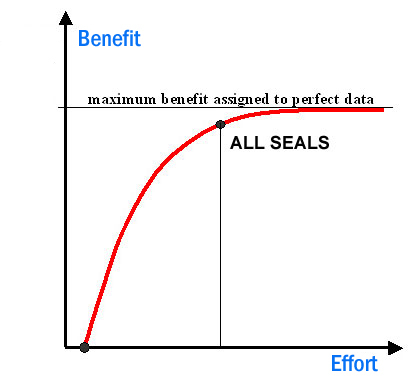 Let All Seals put our engineering experience to work for you in order to design cost out of your parts. We will leverage our materials and manufacturing knowledge to propose a cost effective solution for you. Don’t have a drawing, no problem. We can take your sample parts and propose an equivalent alternative. Benchmarking is an important aspect of competitive market analysis. In the reverse engineering process, we use our advanced non-contact visual measurement equipment to take detailed measurements of a competitor's part. With these measurements in hand, All Seals’s engineering staff will then reproduce the part in our SolidWorks CAD system. The solid model produced from the CAD system can then be used to produce parts for cost analysis, design replication or testing validation. Most geometries can be measured without having to cut the part, however more complex shapes will require sectioning to accurately measure some dimensions. Please contact our sales department to get your reverse engineering project started. All Seals custom-molding capabilities encompass all three processes – transfer, compression and injection molding. We select from among these methods based on a number of key factors, including: the size and shape of the part, the hardness, flow and cost of the material, and the anticipated number of parts to be produced. The compression molding process is not unlike making a waffle. A surplus of material must be placed in the cavity to ensure total cavity fill. Heat and pressure are applied, causing the compound to flow, filling the cavity and spilling out into overflow grooves. 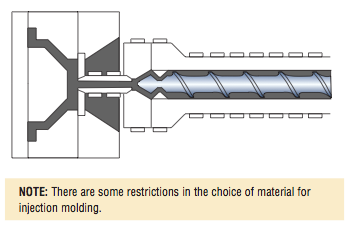 Compression molding is often chosen for medium hardness compounds – in high volume production, or applications requiring particularly expensive materials. The overflow, or flash, created by larger diameter parts is of particular concern when using the more expensive compounds. 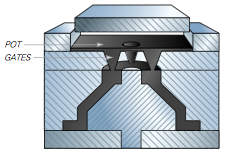 Compression molding helps to minimize the amount of overflow. The pre-load, however, can be difficult to insert in a compression mold of more complex design, and the compression molding process does not lend itself to the material flow requirement of harder rubber compounds. Applications range from simple o-ring drive belts to complex brake diaphragms with diameter of more than 10.000 inches (254.0mm). Transfer molding differs from compression molding in that the material is placed in a pot, located between the top plate and plunger. The material is squeezed from the pot into the cavity through one or more orifices called gates, or sprues. Injection molding is normally the most automated of the molding processes. The material is heated to a flowing state and injected under pressure from the heating chamber through a series of runners or sprues into the mold. 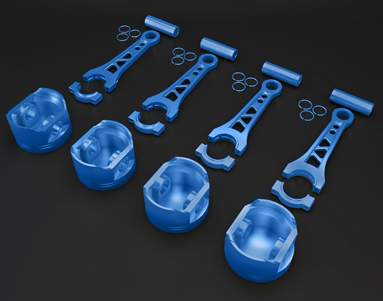 Injection molding is ideal for the high volume production of molded rubber parts of relatively simple configuration.